For the past two years I have been working on developing an art and film project called APPETITE. I was motivated by observing the insatiable desire that motivates human beings from the start to the end of life and the effect this is having on our planet, and inspired by the metaphor of eating and cannibalism. I wanted to make a project that incorporates all my artistic skills and interests into a complete world and story and film seemed like the logical medium. Thus the idea for “APPETITE” was born. It is a film and art project, consisting of a short film, an art exhibition, and a live cinema piece. The project incorporates animation and film into a multi-narrative story of a funny, grotesque and philosophical journey through the belly of the beast and it’s inhabitants. I have not posted anything about it here because it was - and still is - in preparation and development. 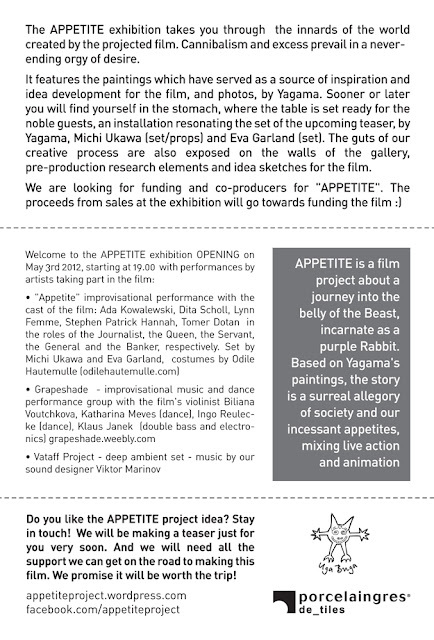 I am happy to announce that the first Appetite exhibition is coming up and there will be an exciting opening event featuring performances by artists in the project. - Vataff Project - deep ambient set - music by our sound designer Viktor Marinov. 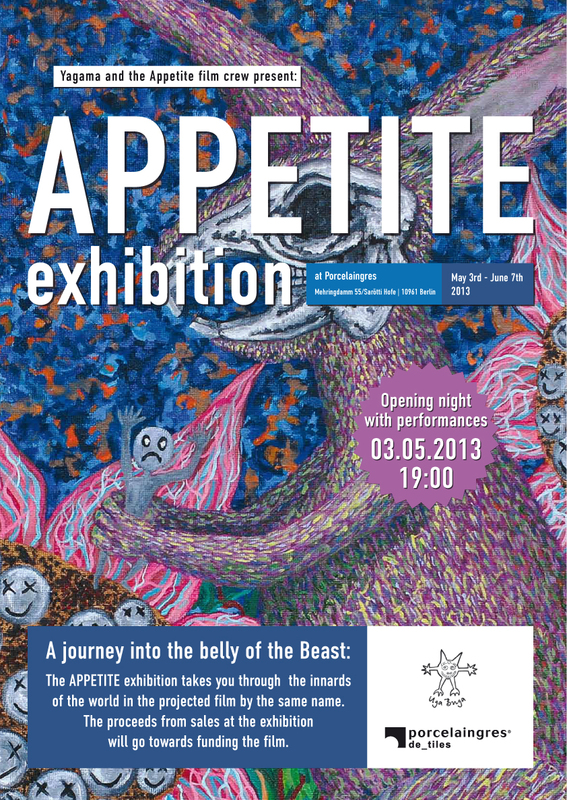 This is a fundraising exhibition towards to production of the actual film. And here is the lovely flyer/poster by Nad Graphics.